St. Germain was born with a disabled arm, a sign of the disease of scrofula, to a mother who died soon after her birth. Like many fairy tales, her father married a woman who was the classic "Wicked Step-Mother". Germain's step-mother cast Germain out of the house and forced her to live in a stable using the excuse that she was fearful that Germain would spread her disability to the other children in the house. 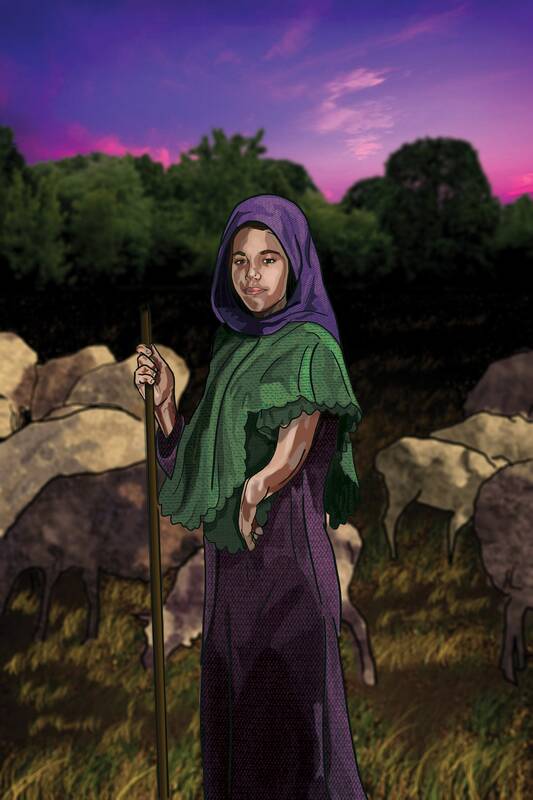 Germain was tasked with tending the sheep and the only school she was able to attend was to make her first communion. Denied any family affection, Germain found her solace in God, assisting at mass and praying the rosary constantly. St. Germain would often encourage the local children in their love of Jesus and Mary. Despite Germain's holiness her step-mother would often beat her, verbally abuse her and fed her few rations of bread and water. In her great sanctity St. Germain was often seen giving what little food she was allowed to the poor. St. Germain endured many years of cruelty at the hands of her step-mother, but Germain never became bitter and instead became humble and even joyous in her persecutions. Finally having enough her father put his foot down and defended Germain to his wife, telling her not to abuse his daughter anymore and that she was to come live with the rest of the family. Upon hearing the news, Germain refused and insisted that she preferred the meager pallet where she took her rest. One morning, her father noticed Germain was not out tending the sheep and found her dead on her sleeping pallet at the young age of 22. She died of malnourishment. She was buried in the family plot in an unmarked grave. Years later when a relative wished to be buried in the plot, Germain's resting place was dug up and her body was found in pristine condition, free of decay. She was identified by the deformed arm. Many miracles have been traced to her intercession.